Each play space is thoughtfully planned out to inspire our very young children to explore the large variety of activities that are carefully planned around the EYFS curriculum and child’s own interests. 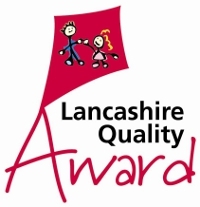 Here at Summerfield we believe that a child centred approach enables the child to be confident to play and learn. We pride ourselves on creating a home from home feel within our buttercups room, displaying family photographs, providing low level comfortable soft furnishing and rugs. These are just some of the things we provide to make our spaces warm and welcoming. Our baby unit is made up of three large play rooms, a sheltered and secure outdoor space which is accessible straight from the rooms and accessible in all weather, a private changing area and small preparation kitchen. Our outdoor space consists of a physical play area, cosy corner, large sand and ball pit, a sensory garden and role play area. We have small hidey dens to encourage small communication spaces and sheltered areas so the garden can be used in all weathers. Each room is used for a specific purpose, and the children can free flow through each of the rooms and outdoor space, giving them independence to explore safely. 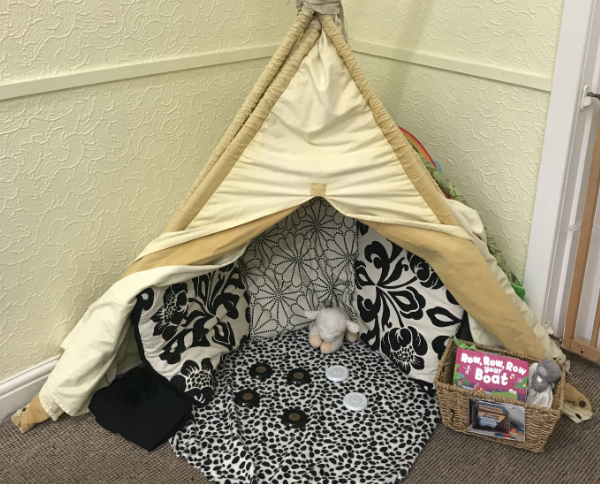 Room one is the perfect space to participate in small group circle times where we share stories, carry out babbling baby activities and sing songs together. There is a low-level sofa that the cruisers and climbers can confidently access and there is access to discovery, construction and imaginary play toys all at the child’s level. As well as den areas where they can seek out their own chill out zones. Room two is our calm sensory and sleep space. The windows have black out blinds, so it is a calm dark place to rest and sleep. We have a large variety of low level sensory and heuristic play baskets for the children to explore and discover and lots of low-level displays and mirrors. It is a beautiful calming place to listen to music and relax whilst looking at our twinkly projection lights. Room three is where all the mess happens! This room has been created to be our messy play room, with sand, water, painting, mark making and sensory activities available at all times. This encourages babies natural urge to explore and discover the world around them, we get to be as creative as we like developing our fine and gross motor skills, widening our imagination and sparking our curiosity.